Tie-in novels are books based on pre-existing media properties — like TV shows, movies and games — and they regularly top the national bestseller lists. But as popular as tie-ins books and novelizations are among readers, few people know how the books are written or the rich history behind the hugely successful and enduring genre. 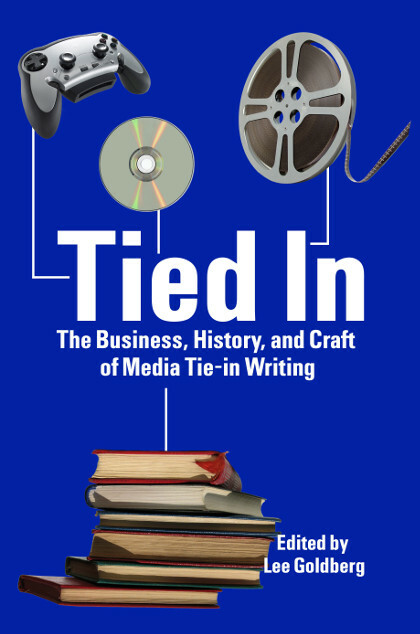 This 75,000 word book, edited by Lee Goldberg, is a ground-breaking collection of lively, informative, and provocative essays and interviews by some of the best-selling, and most acclaimed, writers in the tie-in business, offering an inside glimpse into what they do and how they do it. Contributors include Donald Bain, Max Allan Collins, Tod Goldberg, Elizabeth Massie, William C. Dietz, Aaron Rosenberg, Paul Kupperberg, Jeff Mariotte, Raymond Benson, Robert Greenberger, David Spencer, Greg Cox, Burl Barer, Jeff Ayers, Nancy Holder, Brandie Tarvin, Alina Adams and William Rabkin. This book is an official publication of the International Association of Media Tie-In Writers.